In an unlikely turn of events, the only people not surprised by today’s resignation of Pope Benedict are the users of a German comic-a-day calendar. 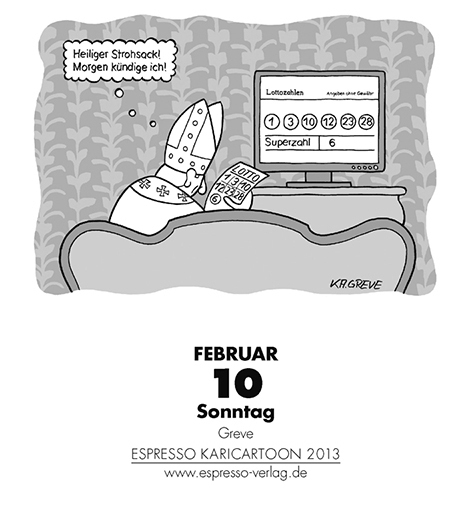 Yesterday’s calendar entry depicted His Holiness with a thought balloon reading “Holy haybag! I’m resigning tomorrow!” The calendar, created by illustrator and alleged clairvoyant Katharina Greve was printed last summer. For more, an article in German mangled via Google Translate.